Hatsune Miku V3 English to be released on August 31st! Are you ready? 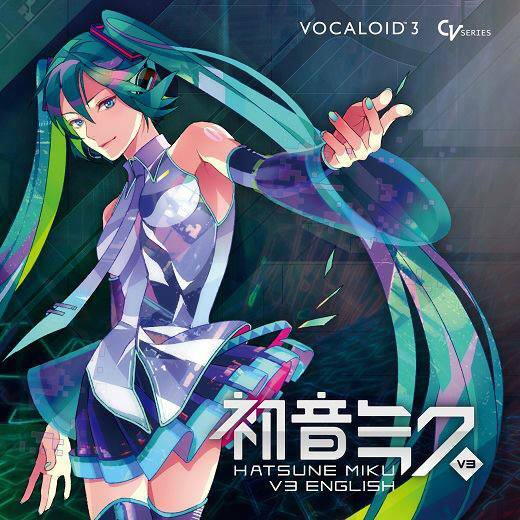 HATSUNE MIKU V3 English will be released on August 31st!!!! Hatsune Miku is “The First Sound of the Future” - a futuristic voice synthesizer software that allows you to easily create vocal parts from scratch by just entering a melody and lyrics. Add vibrato, dynamics and other effects to change the expression of Miku’s singing voice. Compose songs using Miku as your main singer, demo vocalist, chorus singer or experiment with new vocal styles for remixing and other electronic music projects. This all-in-one package includes vocal editor Piapro Studio VSTi, PreSonus Studio One Artist Piapro Edition, and over 200 virtual instruments for your immediate music production.